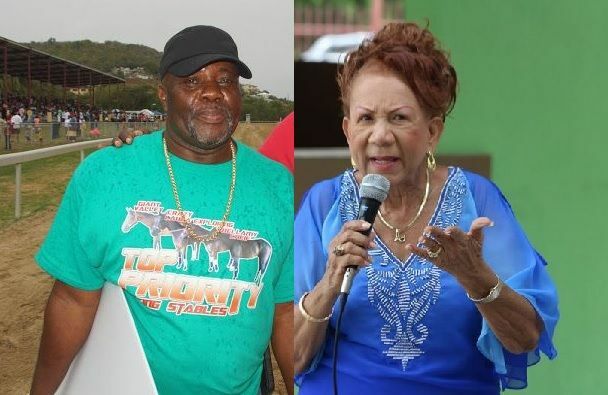 This is according to Lesmore Smith, a horse race owner who was accused by Mrs Patsy C. Lake, President of the Virgin Islands Horse Owners Association, of being in possession of a stolen horse that he (Mr Smith) claimed to have purchased from another horse owner, Kyle L. Abraham. In an interview with Mr Smith, he explained that he bought the horse in an effort to help out his fellow horse owner who stated to him that he was leaving the horse race business. “I bought it based on the merit that I know the gentleman and I know the horse is registered in his name in the racing industry. Based on that, I take credit that all the details that were given to me were true and correct,” explained Mr Smith. The horse owner, who won the Governor’s Cup twice with Good Prospecting and once with Giant Valley, further stated that he received a call from Mrs Patsy C. Lake on Friday August 18, 2017 around 4:30 P.M. and Mrs Lake explained to him that he was in possession of her horse. Adding that he could not respond based on where he was at the time, Mr Smith told this news site he told Mrs Lake ‘okay ma'am’ and the conversation ended. Following the telephone call, Mr Smith told our news reporter that he went to the horse race track and after a few minutes he noticed two police vehicles entering the facility and stopped in front of him. An officer then asked to speak to him privately. “I leave from where I was and went to have a conversation with the officer that was in charge and he said he came to me in reference with being in possession of a stolen horse. I said stolen horse, I don’t understand. I kept my peace and I said nothing at that point because as far as I know by law, if the other person that I dealt with is not there I should not divulge anything,” Mr Smith said. The horse race owner explained that he willingly gave back the horse to Mrs Lake who apparently came for a fight, adding that he was not going to give her a fight because she is someone that he has the upmost respect for. Meanwhile, in an interview with Mrs Patsy C. Lake, she alleged that Lesmore Smith and Kyle L. Abraham concocted some story in order to take the horse to St Thomas, US Virgin Islands, which she advised that she was not in agreement with. Mrs Lake explained that the horse belongs to her because the gentleman, Kyle L. Abraham, did not finish the payment on the horse, so she had no choice but to keep the horse until payment was completed. She told our news reporter that when she heard Mr Smith was in possession of the horse, she immediately called the police to accompany her to collect her horse. “Before I called the police, I tried to call Kyle and then I called Lesmore and I said ‘Lesmore I understand that Kyle gave, sell or lend you my horse, I don’t know what transaction happened between y’all but Lesmore I understand that you have the horse in your stable and Kyle is not the owner of that horse. I am the owner of that horse and you have no cause to have my horse in your stable. Don’t let it come a fight between us, I want my horse back,” emphasised Mrs Lake. Mrs Lake expressed that the story Mr Smith is sharing is a “distorted” story and Lesmore Smith is the “world’s best liar. Presently, Mrs Lake is in possession of the horse and Lesmore Smith is working on getting back his money that he claimed that he paid Kyle L. Abraham for. Mr Abraham could not be reached up to the time of publication. Horse racing in the Virgin Islands has been on the decline in recent years and it is now not clear whether the misunderstanding between Mr Smith and Mrs Lake could see the sport take another hit. No wonder your 2 buildings down there shut up without occupancy. Couldn't you have dealt with this in a better way? In fact and in truth, the two of you have quite a bit of things in common. ...they don't want to see anyone get ahead in life. The more they get the more they want never satisfied. Whether wrong or right she's not a nice woman. Horse Race only decline since Patsy take over. Nobody want to run under Patsy Lake. All she do is kill the sport! If I could like your comment 100x I would. I been going horse race for over 20 years....both old and new track....and this is the worst I have seen it in the last 10 years. I love pasty becareful with funny man that letter he wrote set you up to fail to turn the horse men against you. Didn't Lesmore build that ugly green building of hers that has been vacant forever? All you aint easy. He might have to add some Florida Water and Rose Water to that mixture. I will buy some Arundel rum to seal the mixture. That is 80% proof. That will burn out all the jumbie them around. I can't catch myself this is to funny. All my life I thought it was spirit of turpentine. How could I be so wrong? All I can say is Matthew 16:26 and sad so sad the way it played out. She should have went to the original person who had her horse. She can't go to the person who did biusiness without them and the person didn't know what was going on. She just mad cause her horse would have lost in the Premier cup!! Horse race will be dead until she is gone!!!! Two of the same, let them fight to the end. You all need to leave Patsy alone. She is a hard working no nonsense woman. If half of you worked as hard as she does, you would be much further along, instead of begrudging her for what she has accomplished. Maybe get some tips from her on how to become successful..... HATERS!!!! So who is begrudging Ms. Patsy Lake? And who is hating on her? The success of a man is measured by how you treat persons especially your employees. @ Like really, Well said . You know very little of the real Patsy, please do some research. Someone was scamming or scamming someone. He give up the horse to easy. You would think he would have had some type of documents to prove that the horse belonged to him and he paid for the horse. Same thing I here saying. Read between the lines. Is this really a matter for the RVIPF? I would think that this is matter to be handled by the parties' lawyers. If someone owes you money for goods or services, you refer the matter to a collection agency or your lawyer. If it goes before the Courts, then I would think that seizure would be a matter for the Bailiff. Five armed police officers are sent to the Downs to seize a horse while thugs are about the country committing crimes. Lord help us. I wonder if Vino would consider doing a cartoon on this one? Find a way to remind us which ministry this fiasco rests with please.